Round and smooth, Tigre Blanc Alambic Edition® is ideal for pure tasting and the perfect pairing with fine foods. Since its founding, Tigre Blanc® has been known for its unique esthetic, which is closely tied to the tiger that serves as its symbol. 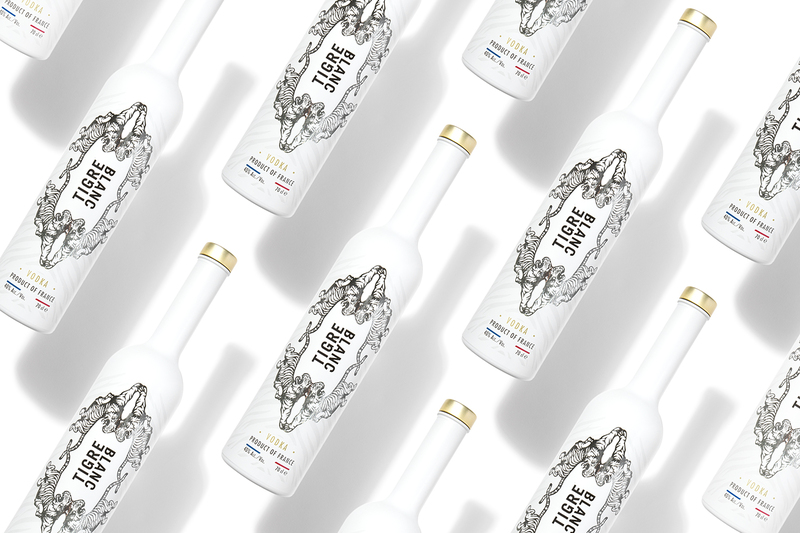 Four tigers encircle the logo on the center of the pure white bottle, letting the clarity of Tigre Blanc® vodka shine through in a sparkling dance created by the metallic coating on the inside of the bottle. In 2018, Tigre Blanc® is continuing its quest for excellence by partnering with Philippe Conticini, a global icon of gastronomy. Tigre Blanc Alambic Edition® is the fruit of this collaboration. This vodka is dedicated to the art of gastronomy and French refinement. 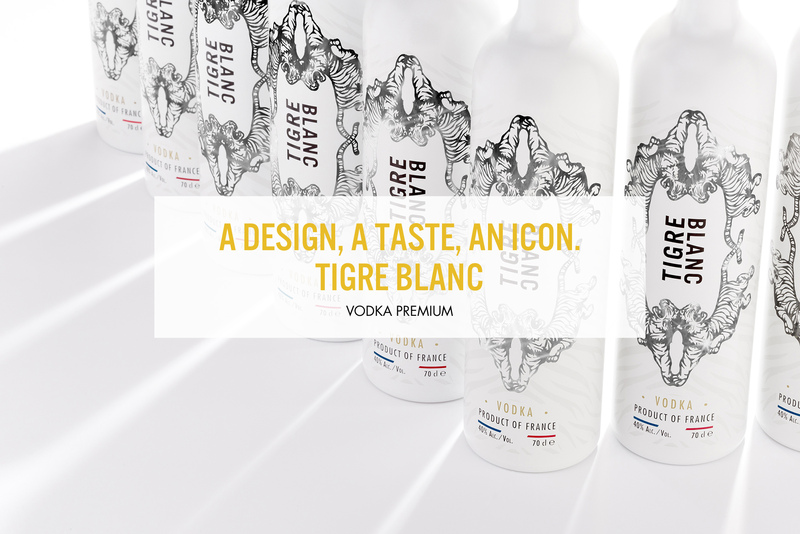 The bottle, designed specifically for this edition, is a clever reinvention of Tigre Blanc’s® esthetic tradition, blending the brand’s boldness with Philippe Conticini’s simple elegance. 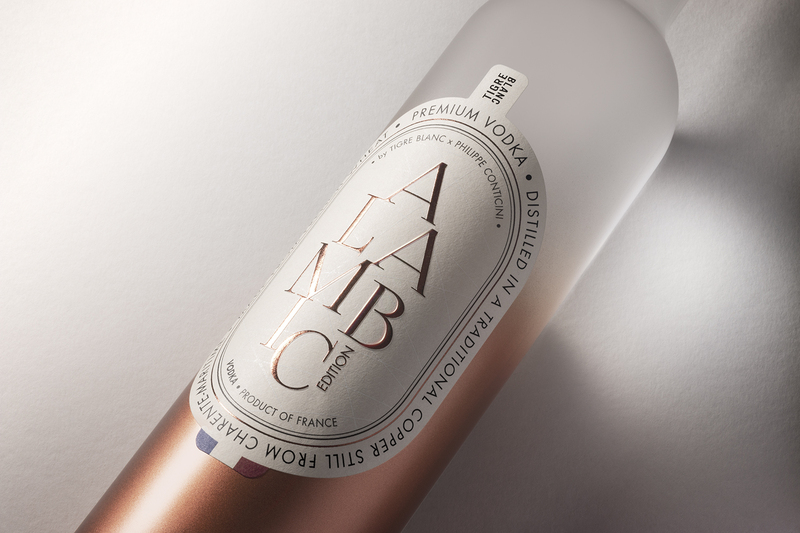 Developed in the heart of Charente-Maritime, famous for centuries for its exceptional brandies, Tigre Blanc® and Tigre Blanc Alambic Edition® are both made exclusively from French wheat harvested in Champagne-Ardenne and water drawn from Charente-Maritime. Distilled five times, Tigre Blanc® is made for cocktail lovers. Its light, subtle flavor reveals freshness and lingering citrus notes. With additional double distillation in a traditional copper still from the Charente-Maritime region in France, Tigre Blanc Alambic Edition® is clearly the result of an ongoing quest for the perfect flavor, full of refinement and elegance. Traditional knowledge is now being used to enhance a pure vodka, resulting in the richness and smoothness unique to Tigre Blanc Alambic Edition®. This vodka can be enjoyed straight and works well paired with fine pastries. Made in france. Made in charente! Tigers are today more than ever in danger of extinction. It has become mandatory to protect the species as well as their environment. Aware of this danger, Tigre Blanc® supports the organization Panthera® who is fighting for the protection of wildcats and their natural habitat.